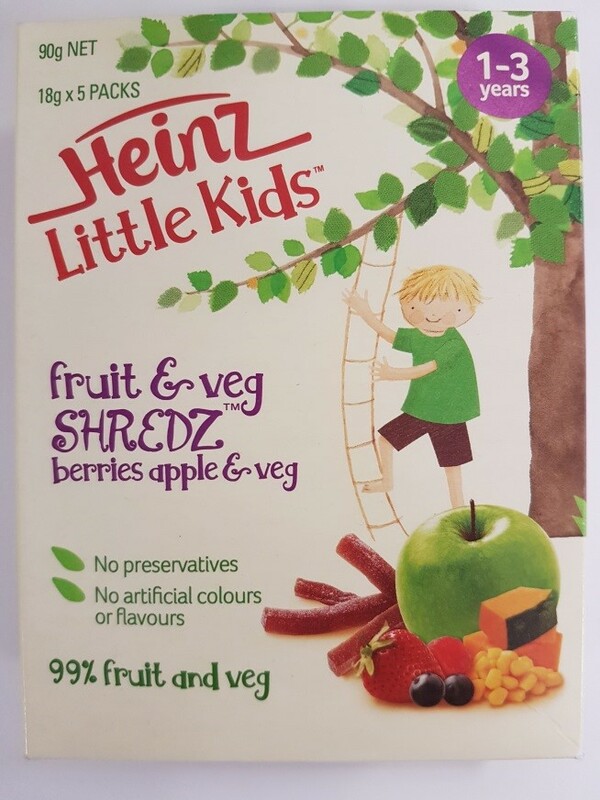 The Court found that Heinz had represented that its Shredz products were beneficial to the health of children aged 1-3 years, when this was not the case. Further, the Court found that Heinz nutritionists ought to have known that a representation that a product containing approximately two-thirds sugar was beneficial to health of children was misleading. “We welcome the Court’s decision today which shows that businesses that make false or misleading claims about the health benefits of products face serious consequences,” ACCC Acting Chair Delia Rickard said. 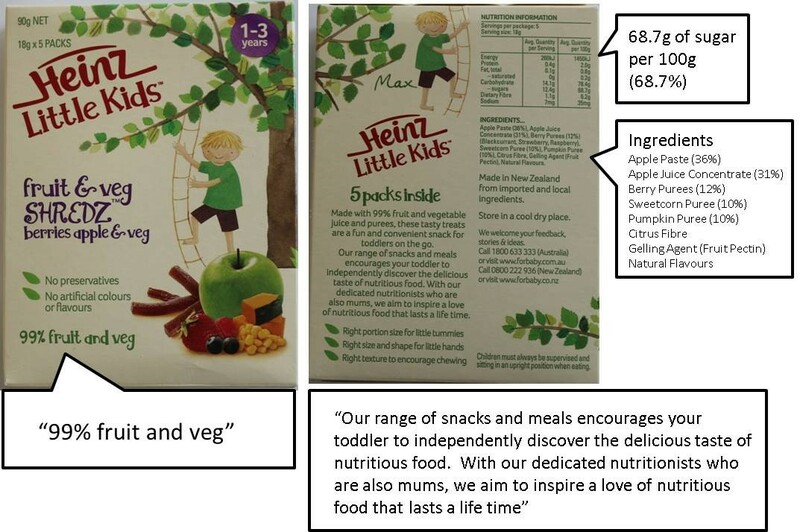 The Court found that the combination of imagery and words on the packaging, including prominent pictures of wholesome fresh fruit and vegetables and statements such as ‘99% fruit and veg’, conjured up the impressions of nutritiousness and health. “We were particularly concerned by Heinz’ conduct because the Shredz products were marketed as being beneficial for young children,” Ms Rickard said. The Court found that the ACCC had not established that the Shredz products represented to consumers on packaging they were of equivalent nutritional value to fruit and vegetables, or that the products encouraged the development of healthy eating habits in children. The ACCC’s action followed a complaint by the Obesity Policy Coalition about food products for toddlers that make fruit and vegetable claims but are predominantly made from fruit juice concentrate and pastes, which have a very high sugar content. The Shredz product range included three varieties; ‘peach apple and veg’, ‘berries apple and veg’ (pictured), and ‘strawberry & apple with chia seeds’ which were available in major supermarkets nationally from 2013 until at least May 2016. The products are no longer on sale. The ACCC instituted proceedings against H.J. Heinz Company Australia Ltd (Heinz) in June 2016.